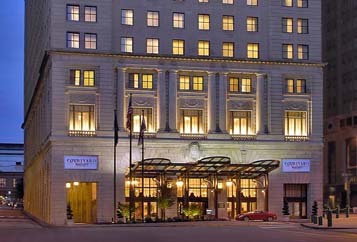 A block of rooms have been reserved at the Courtyard Philadelphia Downtown (21 N. Juniper Street, Philadelphia) at a rate of $129.00/night. Reservations can be made by calling 215-496-3200 and asking for the “Masonic Restoration Foundation Symposium” rate. NOTE ON PARKING: A 20% discount will be provided only at the parking garage located at 1201 Filbert St, Philadelphia (if you exit the 13th Street side of the garage, the rear of the hotel is across 13th Street).